Step into the colorful world of the Huichol culture at W Punta de Mita, where indigenous-inspired design takes over. The hotel’s vibrantly decorated suites (hello to turquoise and pops of neon) and common areas all lend to a cheerful atmosphere. 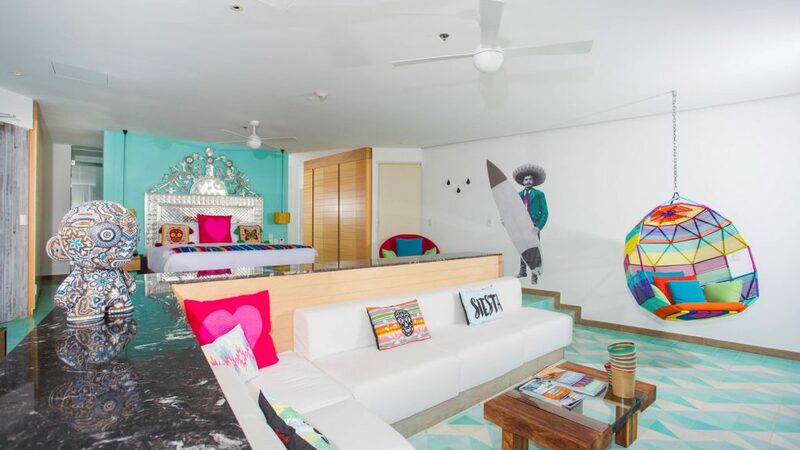 Like one big Mexican fiesta, the resort is brimming with picture-perfect opportunities including the 700,000-tile mosaic walkway, candy skull decor, the tin-lined welcome area and mermaid-themed cabanas. Even the cuisine packs a punch with playful interiors and bold flavors. We recommend booking a beachfront suite complete with your own swimming pool. Fun Fact: There is a beach bar housed in a repurposed 1950’s Chevy truck that makes for awesome Instagram posts. 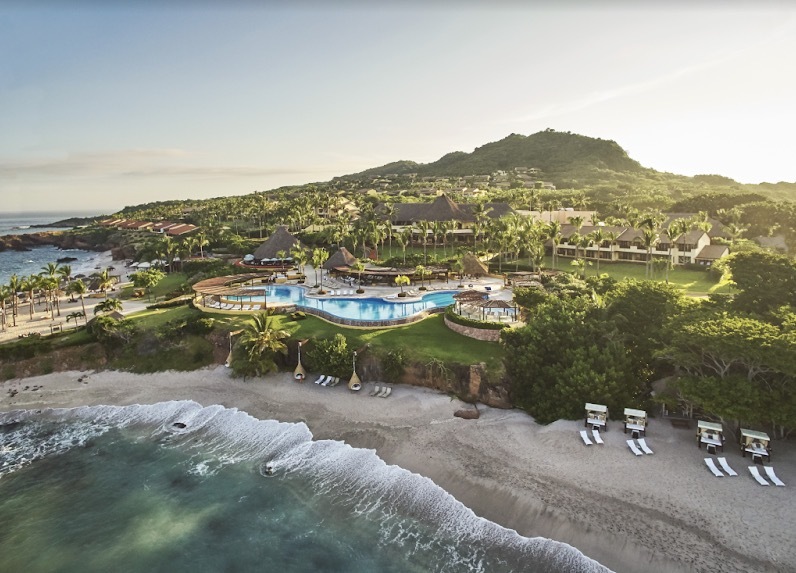 Nestled within Mexico’s most exclusive beach community along the shores of Riviera Nayarit, The St. Regis Punta Mita Resort offers guests great service in an even greater location. Mouthwatering cuisine can be enjoyed at its five dining outlets including Carolina, the AAA Five Diamond restaurant, and Mary Mita Boat Bistro, the only food boat in the Riviera Nayarit. Another highlight includes the 10,000-sq.-ft. Remede Spa with outdoor areas and three infinity-edge pools with private cabanas plus access to two Jack Nicklaus Signature golf courses. Fun Fact: St. Regis Hotels are famous for their Bloody Marys, with each property adding their own twist. In Punta Mita, they prepare theirs with silver tequila and local ingredients. Great for families, the resort features a lazy river, multiple pools, a chic beach shack, a gelato shack, an array of art pieces, a recently renovated Game Room and a Kids for All Seasons Kid’s Club and more. Enjoy unique features like paint easels located throughout the grounds of the resort ready to be used at a moment’s notice along with live Cuban music nightly in the bar. 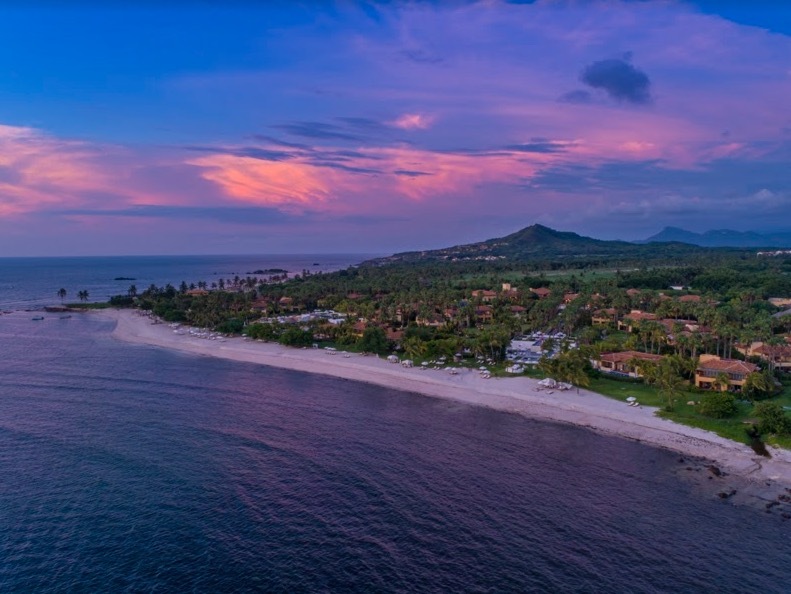 Don’t miss your chance to recharge at the newly renovated Apuane Spa or tee up at one of two Jack Nicklaus Signature golf courses. Fun Fact: The Cora beer and Los Mitas mezcal were both specially crafted for the resort.